50 Count Arrowheads & Riker Mount Kit | BUDK.com - Knives & Swords At The Lowest Prices! 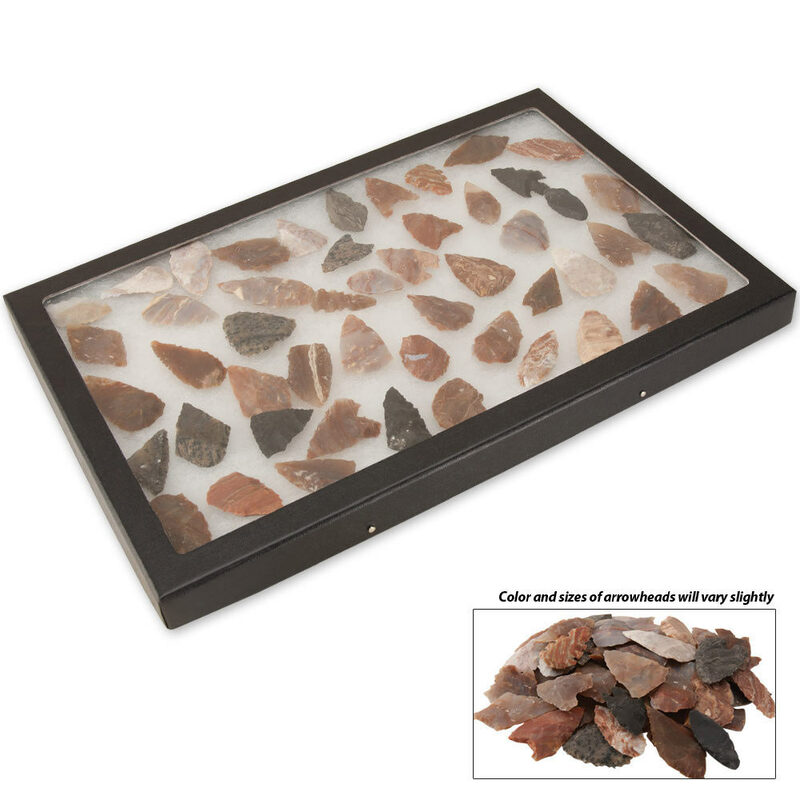 Measures 12" x 8" x 3/4"
Display your arrowheads together in one case! This Riker Mount box comes complete with 50 of our finest arrowheads. This display box is nice, real glass cover, not plastic! Most of the arrowheads are good too. Maybe 3 or 4 are not shaped well. But most can be used on arrow shafts right now. Well worth the price. I also got the BOGO sale! Thanks Budk. You are great!